Dental implants are an important figure in replacing lost teeth, proving to be one of the most popular ways to close the gaps between your teeth. Dental implants offer you a very effective, natural-looking replacement for teeth, helping to restore the full function of your mouth. However, there are certain things that you can do to make sure that you get the very best out of your dental implants. One thing to note about dental implants is the fact that, although they are renowned for doing a great job and being the perfect replacement for missing teeth, the quality of the implants and the treatment does depend on the clinic that you visit. It is very important to choose the right place to have your dental implants placed, as the quality of your implants can have an impact for many years to come. 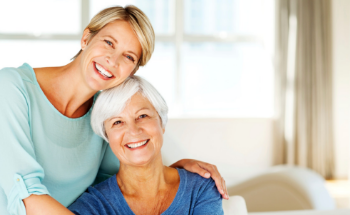 When you visit a professional, local dental implant specialist, there are a number of benefits for you to take advantage of. Firstly, you can be sure of the quality of the treatment and the implants, as well as knowing that you are receiving great value for money. As well as this, the support offered post-treatment is much more considered, with check-ups arranged to monitor the results. One of the biggest plus points about dental implants is the fact that they can be maintained in the same way that your natural teeth are. Providing that you brush twice a day and floss daily, your dental implants will maintain their appearance. It is sometimes advised to use a special type of brush to maintain your dental implants, depending on where they are positioned, however you will be guided on this by a member of our team. To ensure that you are correctly maintaining your dental implants, you should book a check-up every 6 months, so that they can be monitored and cleaned by a professional. If you provide the correct maintenance to your dental implants, you should see your implants last for many years to come. For more information about dental implants or to discuss how we can help you to replace your missing teeth, please get in touch with us today. Call us on 0115 925 4169, email info@beestondentalpractice.co.uk or complete our contact form.